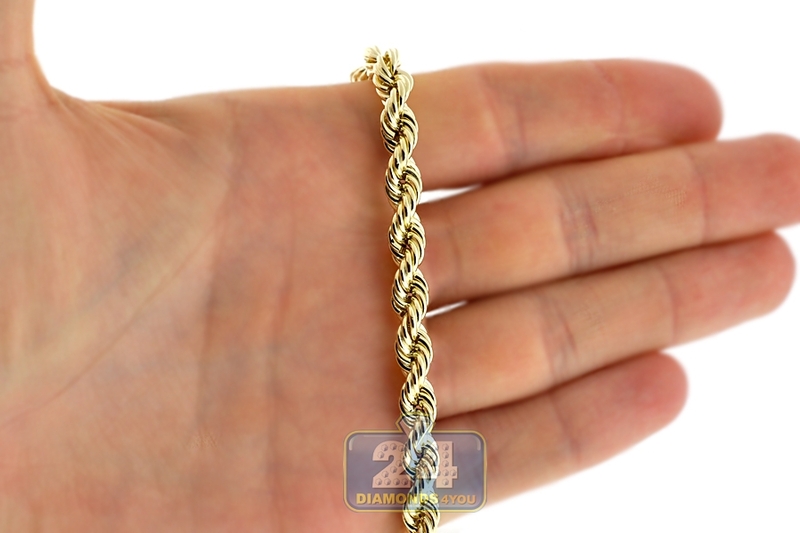 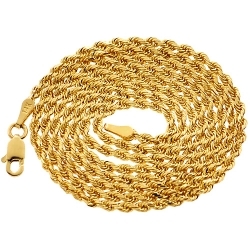 Step into a world of classic jewelry with this hollow rope chain! 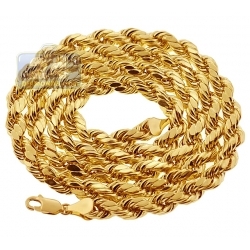 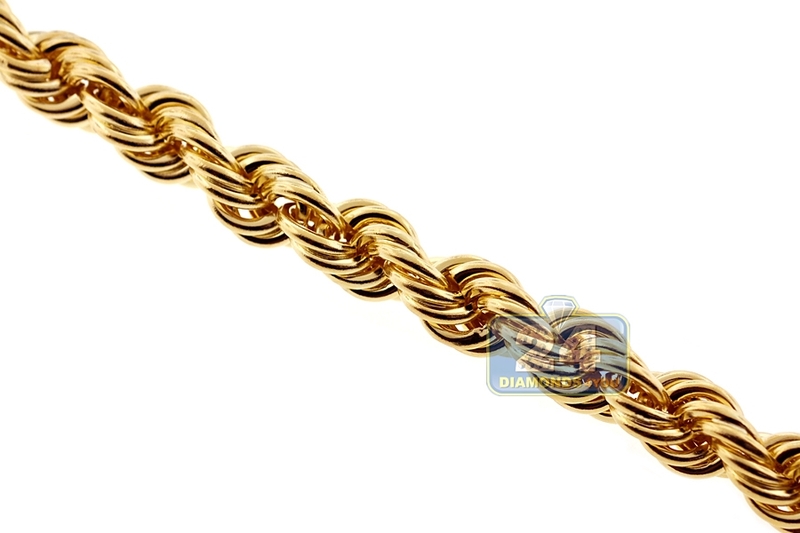 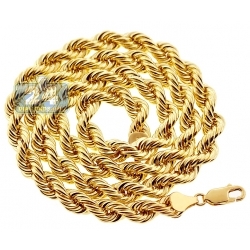 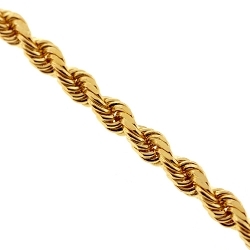 Smartly manufactured from affordable 10k yellow gold in Italy, it has highly polished shiny look. 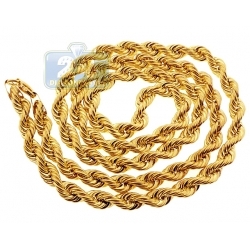 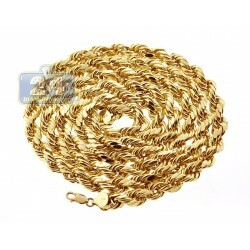 The 10k yellow gold necklace has width of 6 mm, and can be ordered in length of 18, 20, 22, 24, 26, 28 or 30 inches. 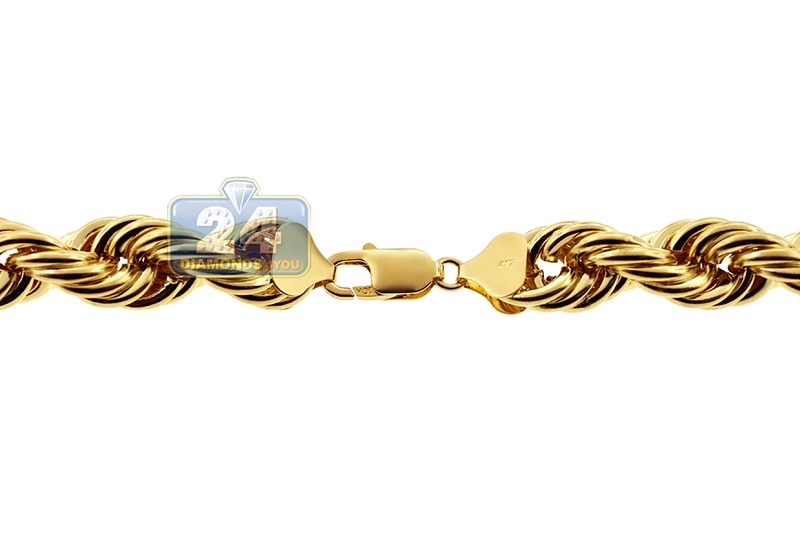 The weight goes from 12 to 20 grams. 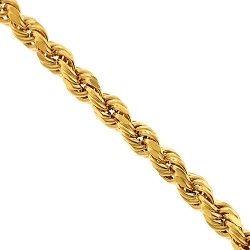 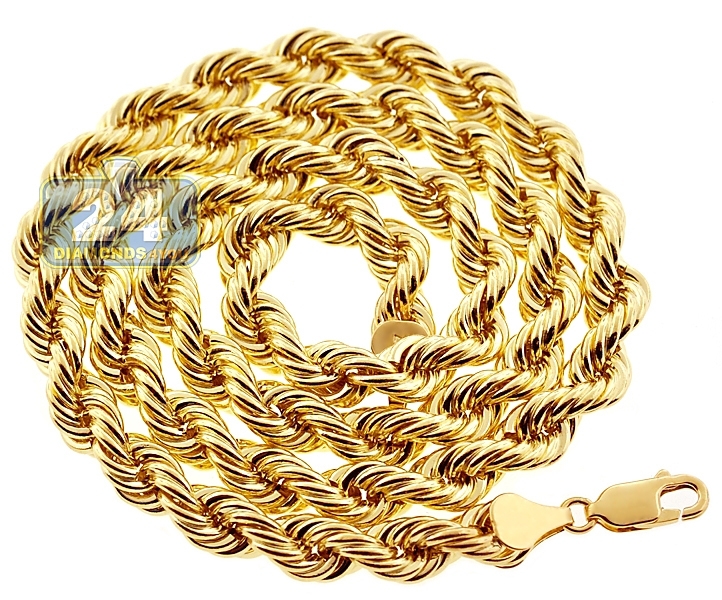 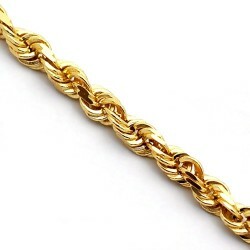 The gold rope chain is closed by a secure lobster clasp. 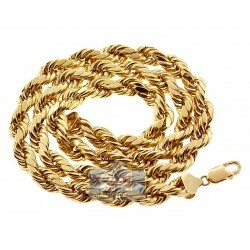 Our men's gold necklace would add an elegant finishing touch to any outfit!